If you’re looking for the true definition of paradise, look no further than this gorgeous 2-storied modern town house. 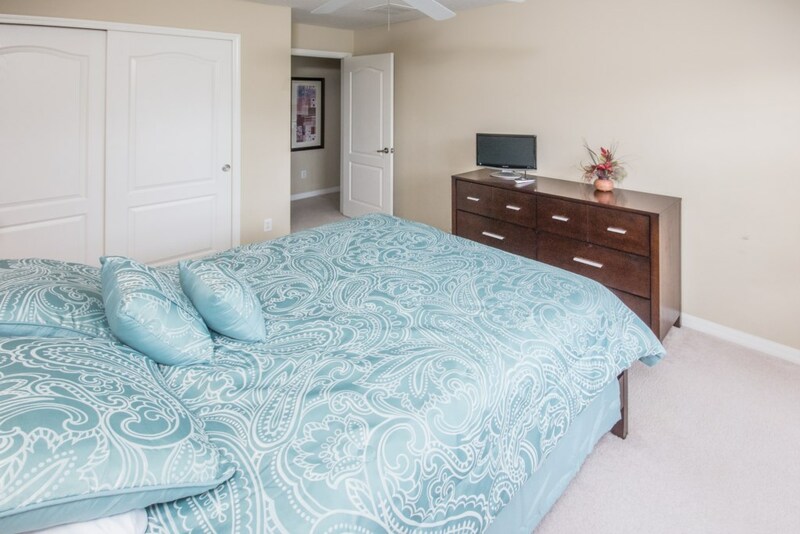 Spacious and beautifully designed and decorated, this 4-bedroom vacation home with three spacious and modern bathrooms is perfect for the larger group or those who fancy more space as this home comfortably sleeps up to 10 people at one time. 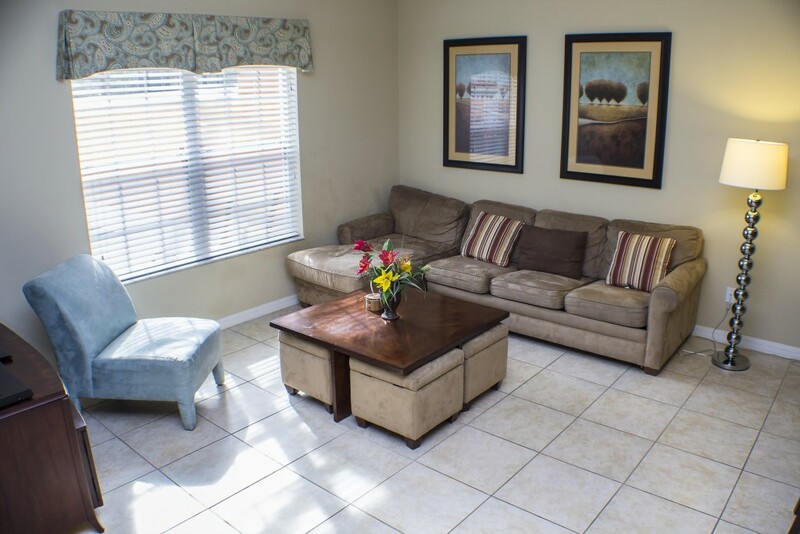 Its large living room has comfortable seating and a 42” flat screen TV for your entertainment. 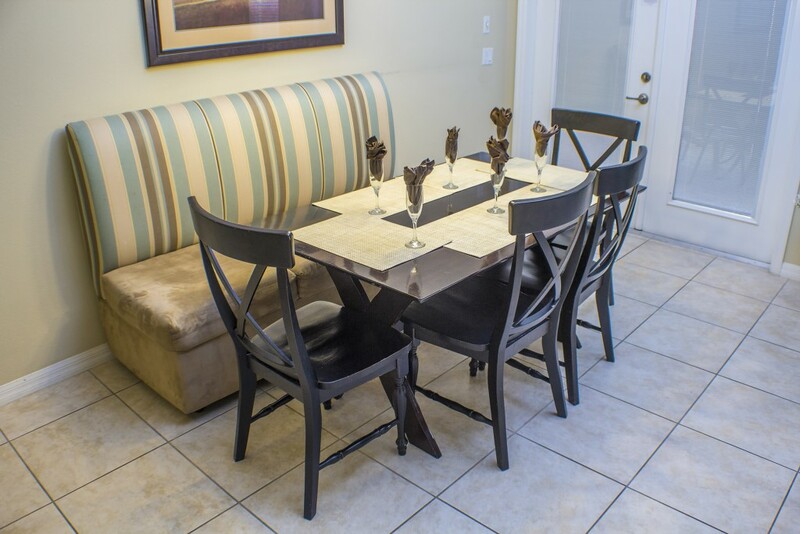 Dine in the formal dining room that can comfortably seat 6 people or grab a quick bite at the modern and spacious breakfast bar that seats 4 people. Enjoy cooking? 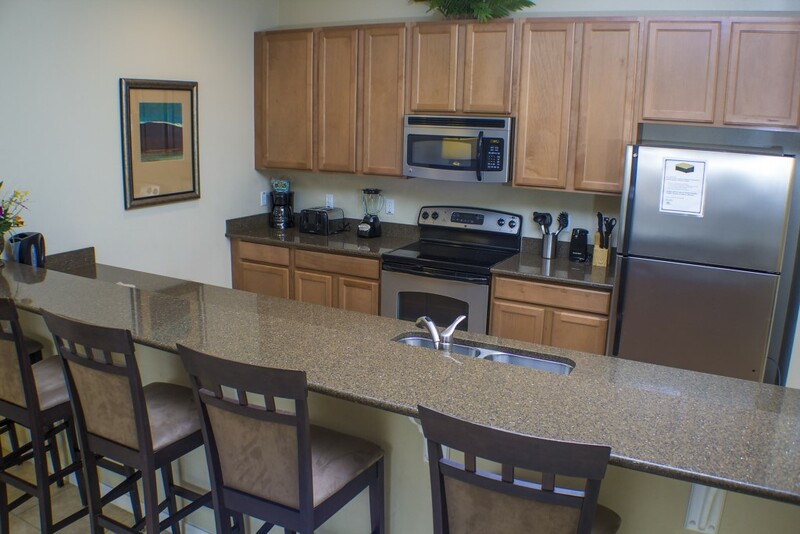 You’ll love the modern kitchen that is fully equipped with stainless-steel appliance, granite countertops, and all the utensils and equipment you need to prepare your meal. 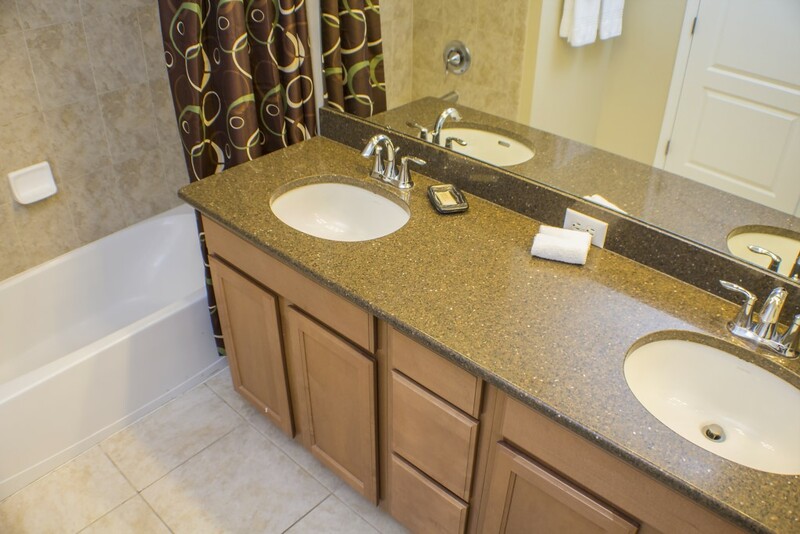 There are four bedrooms. 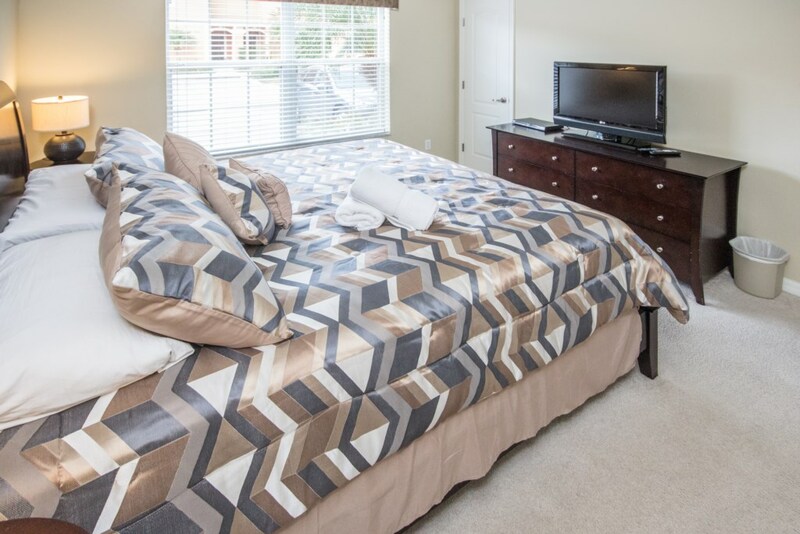 The master bedroom has a king-size bed, 26” inch flat screen TV, and en-suite bathroom. 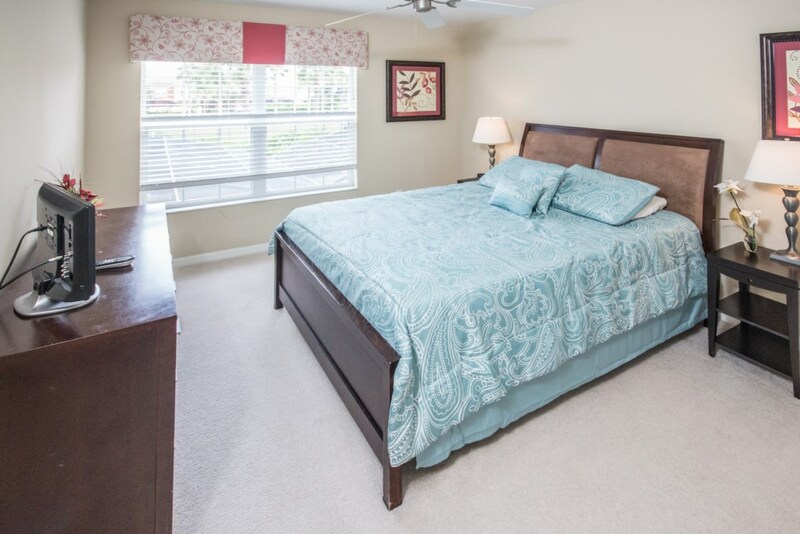 The second bedroom has another king-size bed. 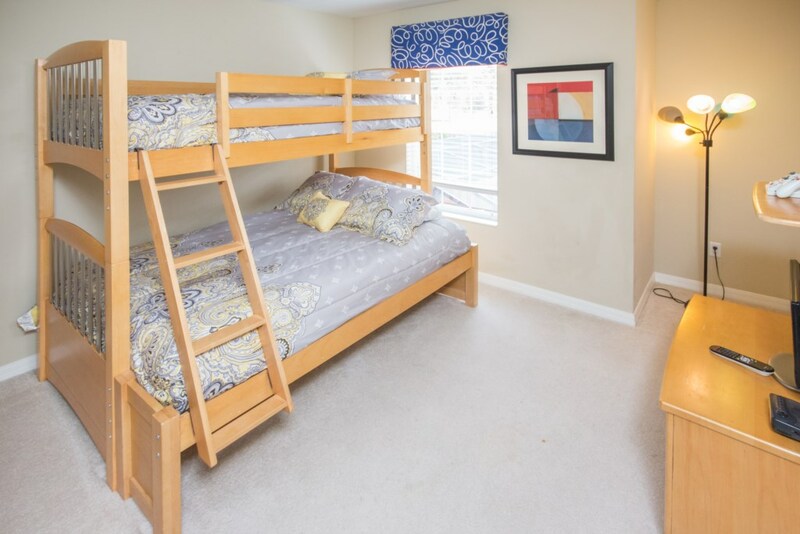 The third bedroom has a queen-size bed, and the fourth bedroom has a bunkbed (a single and a full). You won’t feel disconnected from everyone else back home. There is free Wi-Fi Internet throughout the house. 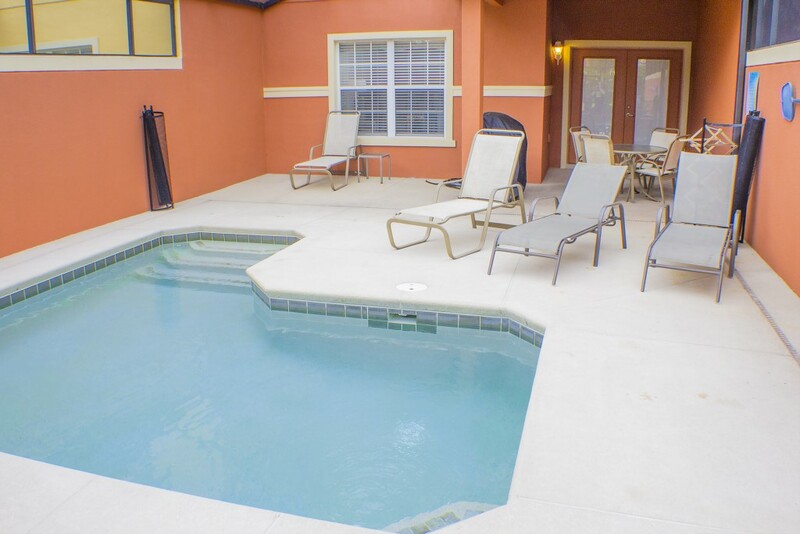 Alternatively, if you’d rather be outside, do what people do the best in Florida – relax by your privately-screened-in heated (optional) splash pool on the provided sun loungers. 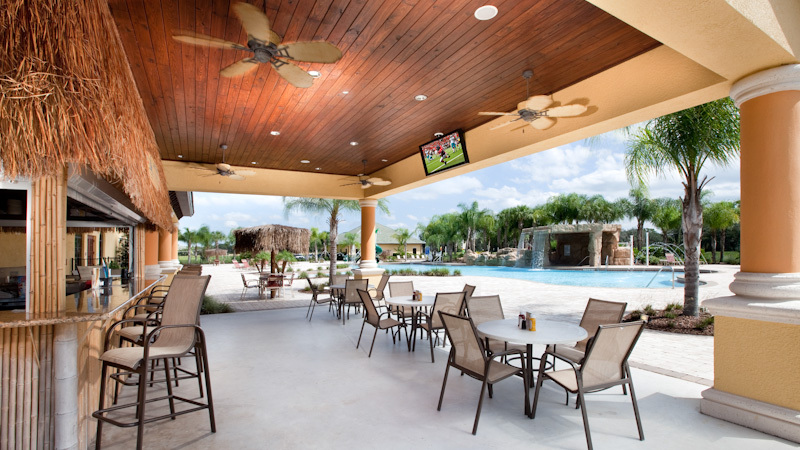 When the intense Florida heat gets too much, relax under the covered lanai where you can relax or entertain on the patio with a great barbeque for you and your guests. 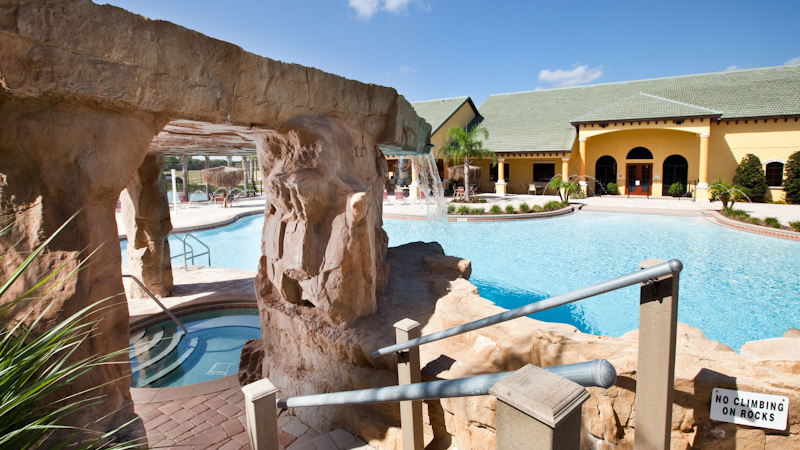 Paradise Palms is only a few minutes’ drive from the gates of Walt Disney World in Orlando and is the ultimate resort experience. 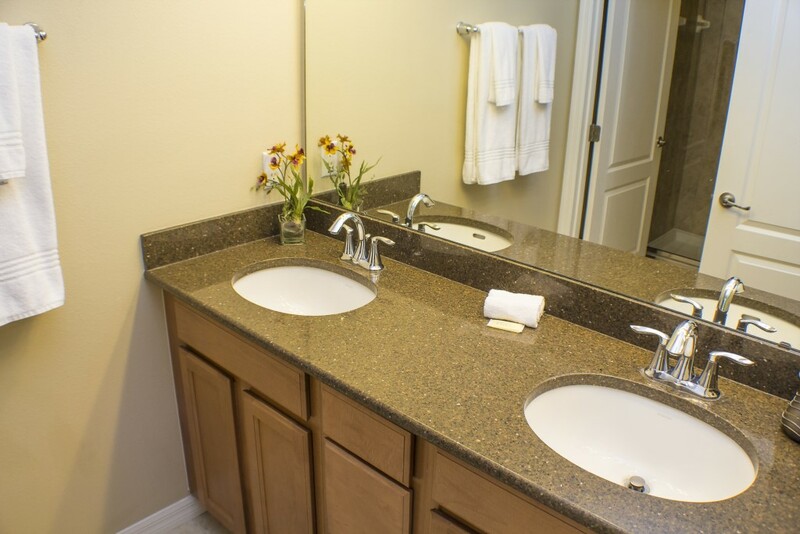 Paradise Palms is carefully planned as a quiet enclave where you and your family can get away from it all . . . while being close to it all! 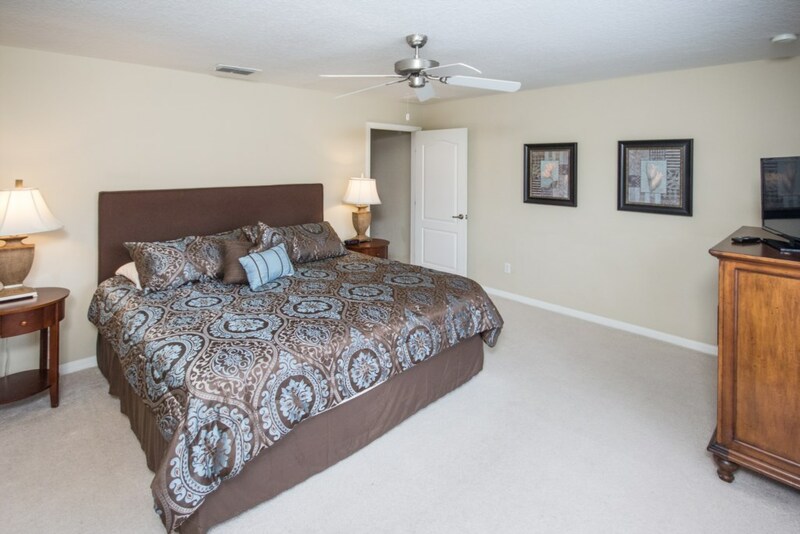 Paradise Palms is located just 3/4 mile off Highway 192 on Westside Blvd. and only 1.6 miles from IPG’ Welcome Center. Upon entering the magnificent gated entry that is manned 24/7, you will be greeted by the stunning sights and sounds of a true tropical paradise with cascading waterfall, illuminated fountains, lush landscaping with an abundance of palm trees and exotic flora. 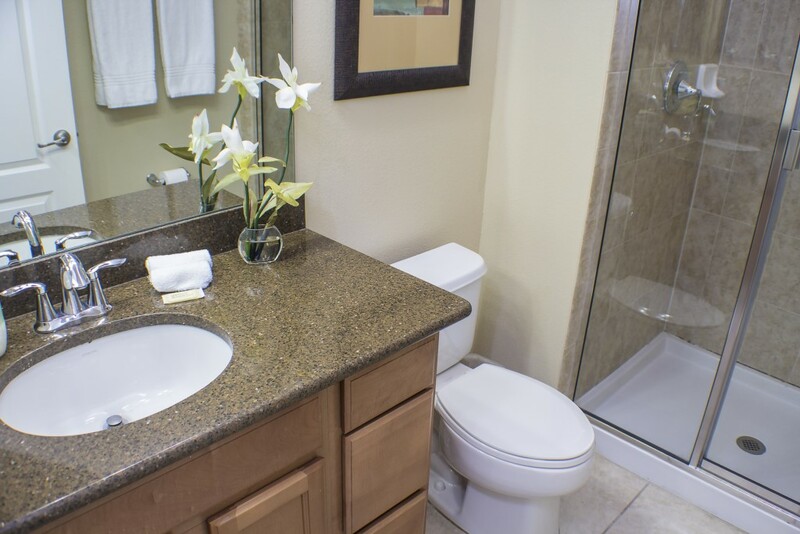 With the bounty of the surrounding nature, the luxurious spacious town homes, the scenic views and friendly people, you will discover that Paradise Palms is a resort community second to none. 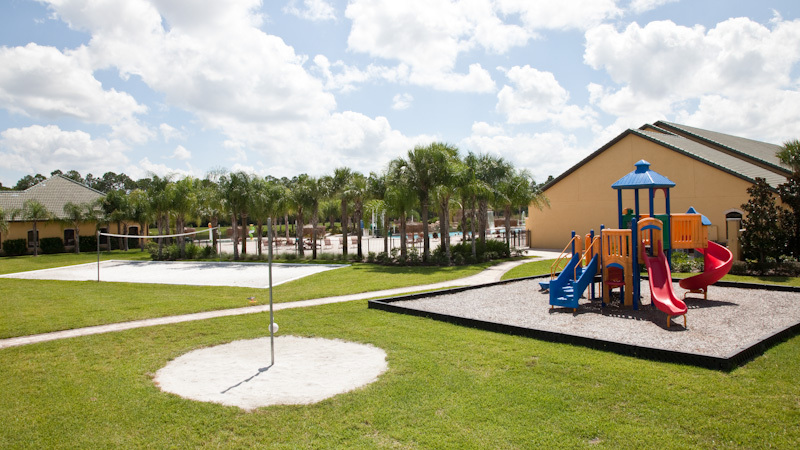 Whether you are looking to relax in the warm Florida sun, enjoy a playful game of tennis (there are 2 courts), botchy ball, basketball or even fishing, you will be able to find it at Paradise Palms. 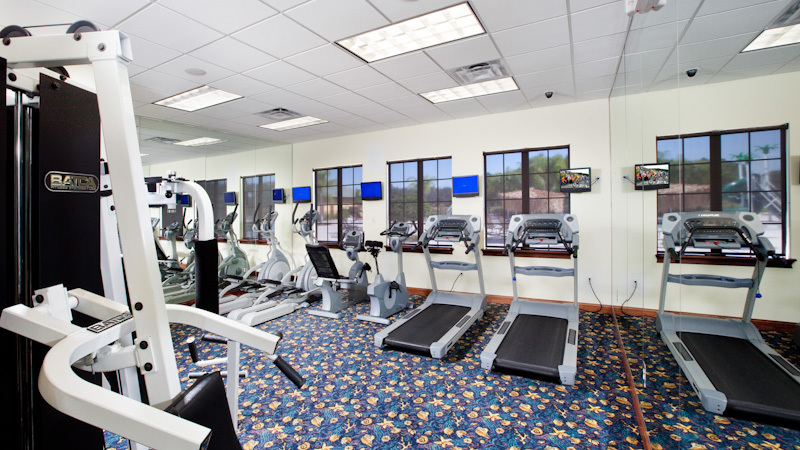 The 9,500 square foot, prestigious clubhouse includes a reception/concierge desk, a large games room with pool tables and arcade games, a 49-seat movie theatre, a fitness center with TV’s that overlook the pool area, a sauna inside the fitness room, a lavishly furnished card room specially designed for competition playing, internet café that is free to guests, meeting rooms, kitchen for cooking for large parties, a sundry shop, and an outside tiki bar where you can soon have a light lunch or alfresco dinner while overlooking the pool area. 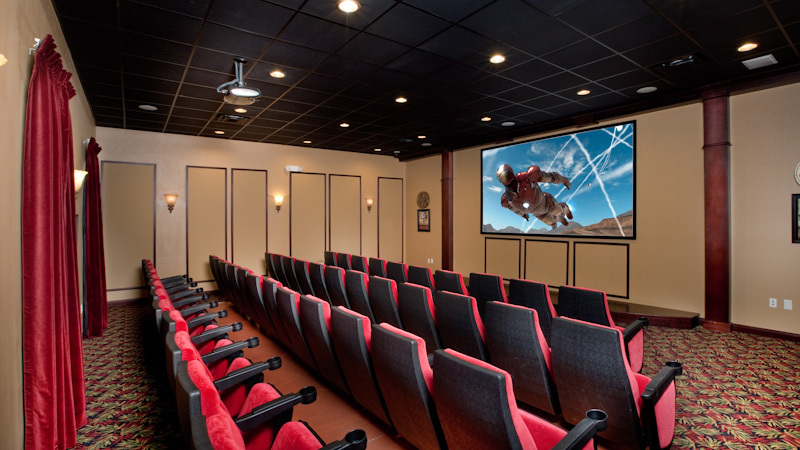 Guests are allowed to bring their own family-oriented DVD’s to the movie theatre for viewing, if there is no other movie playing. 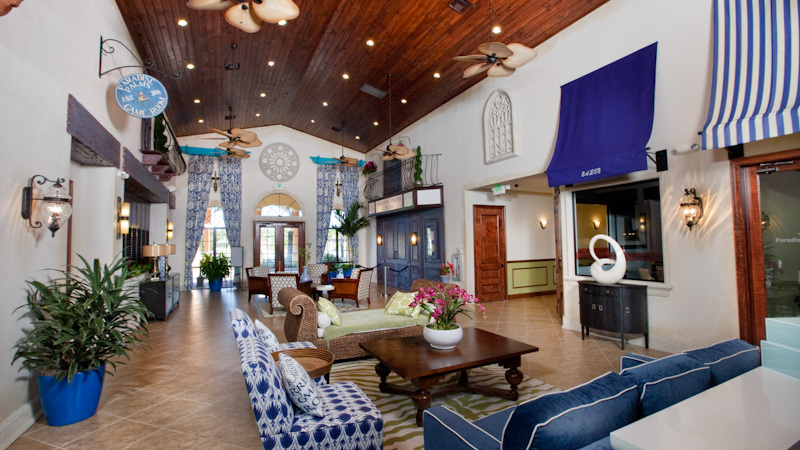 The pool area is something that words are hard to describe – you just have to see and experience it for yourself! There are 2 Jacuzzi spas (one is in grotto that has a cascading waterfall and the other is for those who want exposure to the sun). The depth of the gigantic lagoon-style swimming pool ranges from 3’ to 5’ and is accessible for physically handicapped people. 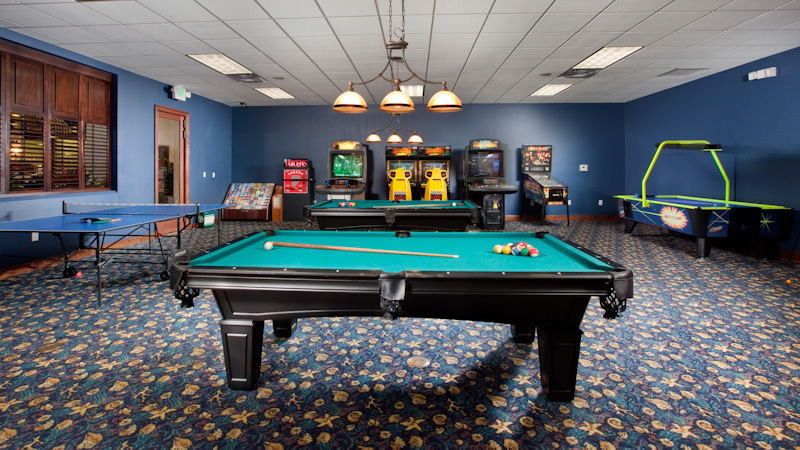 There is a separate kiddie pool for the younger children and a very large lounge area. Just off to one side are the tennis courts and botchy ball courts and the other side has a picnic and BBQ area for family cookouts while enjoying the pool. Please note, there are plans to heat the main pool in the near future. 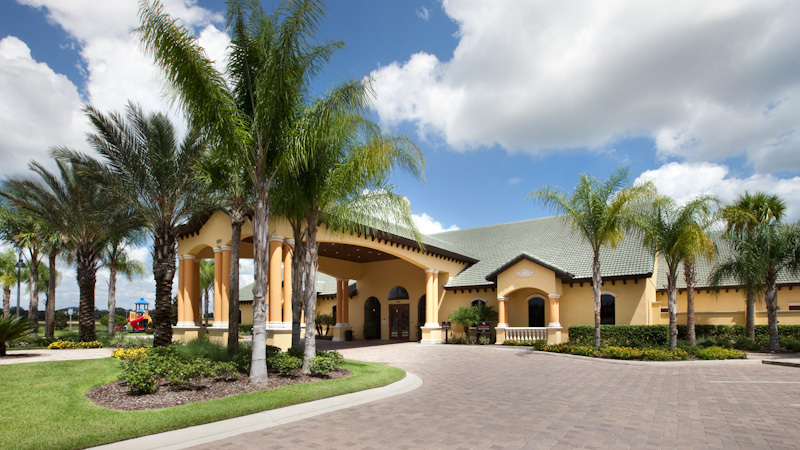 Located within the private gates, residents enjoy a tropical oasis of beautiful swaying palm trees, lush green foliage and colorful exotic flowers. 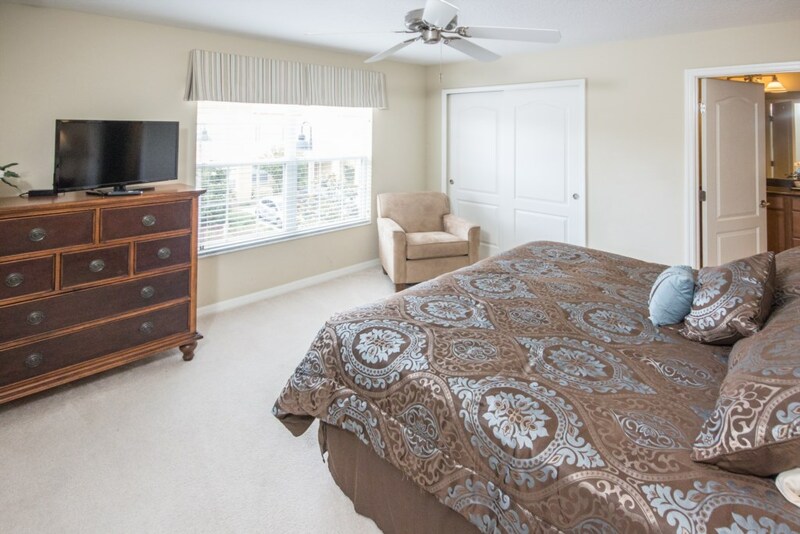 Paradise Palms was designed for those who share a passion for pure relaxation and where your busy Orlando attraction-filled days can become quiet nights. You can also spend the day lounging beside the sparkling pool which can become an exciting evening. Enjoy some of the best entertainment in the world at the many venues that are just around the corner – such as the House of Blues at Downtown Disney! 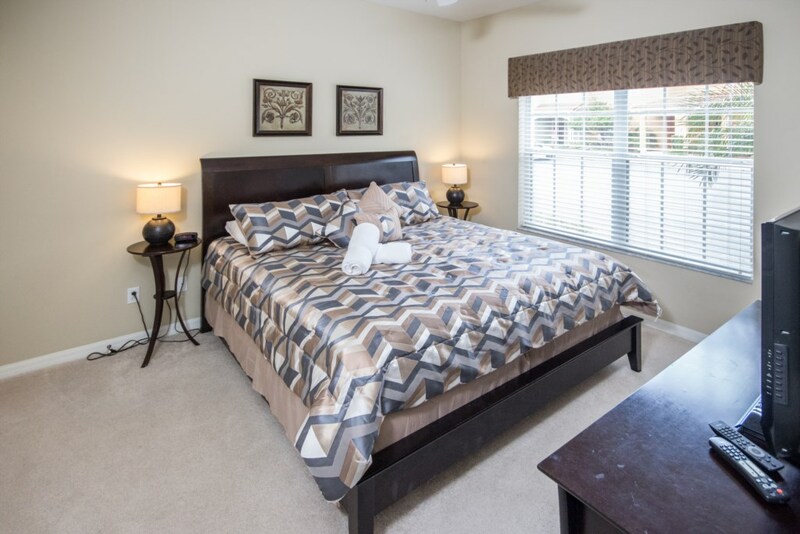 There is a wide variety of area attractions, cultural events, golf courses and excellent shopping located close by – you only have to take your pick. 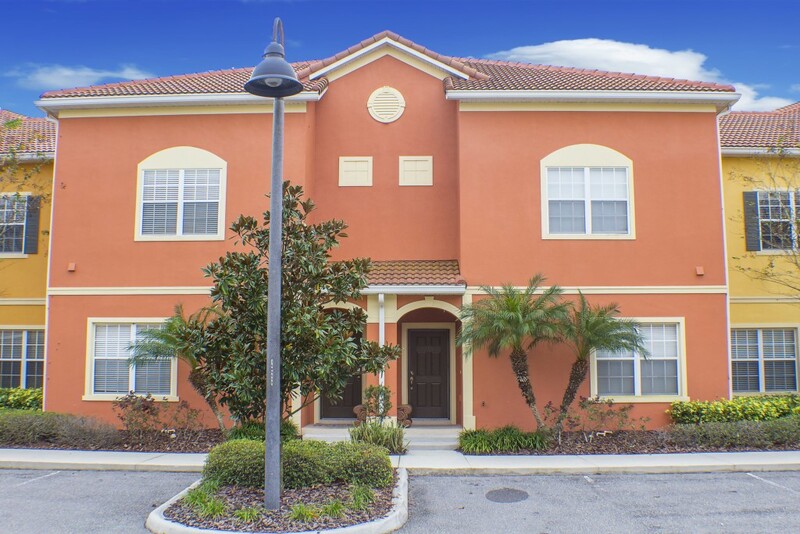 From the Atlantic Coast to the Gulf Coast, to everything in between, this fabulous location allows easy access to major routes and all the fun and excitement that Central Florida has to offer. Excelente!! Its the second time we ve been there. 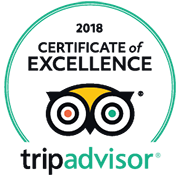 I recomended the place to my friends.